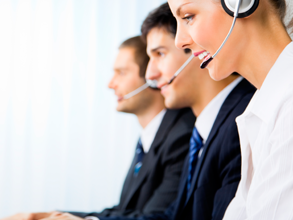 IAS continually works to improve administration and provide the most reliable customer support. For decades, IAS has offered top-of-the-line customer service and claims. Because CSI is as critical to IAS as it is to our agents and dealers, we maintain consistent training and tough hiring requirements for our representatives. IAS consistently maintains a call abandonment rate of less than 1%, far exceeding the industry standard of 3%. Download the IAS Claims App today! Click here for directions. Dealer On-line Claims System (DOCS) allows dealer service personnel to look up contracts, view contract cancellation details, file and receive authorization for Tire/Wheel claims, and view claims history. Using DOCS eliminates the need for service writers or other dealership personnel to call IAS to file a claim, verify contract coverage, or check claim status. Additionally, IAS has a dedicated consumer-based web site at www.fasterclaims.com where service writers and consumers can instantly register claims and track the claim status at any time. IAS also offers a cancellation calculator that provides dealers with a quote of the unearned percentage for the cancellation refund of an IAS contract. Once the quote is provided, all of the information can be populated onto a cancellation request form and printed. The cancellation calculator is available 24/7 via the IAS web site. All customer contracts, dealer agreements, cancellation refund documents, as well as all GAP claims are scanned and the electronic images are routed systematically to the appropriate customer or dealer record in our contract administration system. Twice a year, IAS contracts top actuarial firms who supply the necessary loss development factors used in scientifically projecting, by product line, each dealer's specific level of risk. On both a quarterly and an ad hoc basis, IAS provides Agent/Dealer Loss Ratio reports to keep our Agents proactively informed of their dealers' performance. For those dealers interested in Reinsurance, IAS provides Agents with a Pro-Forma marketing tool. The Pro-Forma projects underwriting profits and investment income specifically tuned to the dealer's expected unit sales, product penetration and historical loss performance.